Inspection Skills: The very first type skills that you should look for in any professional plumbing service provider in your town is the inspection skills. Whenever you face any type kind of issue related to plumbing at your office or home and you call a plumber, the very first thing that you should expect from him or his team is the inspection of the problematic area. Any professional would not straightforwardly start digging the walls to find an issue in the pipes. He will firstly inspect the whole location and will try to figure out the root cause of the problem so that the damage can be avoided as much as possible. This will not only say money but time too. Therefore always keep an eye on your plumber when you call them for resolving issues related to plumbing. Detection Skills: The second type of skills that is expected from any professional plumber is the detection skills. While inspection the location to figure out the root cause of any plumbing related issue, it is not at all easy to detect the exact location of the problem. Only that person who has a good level of experience and has been solving similar problems can reach the conclusion and hit the bulls eye. There are also various types of tools available in the market that can be used during the inspection to detect the actual cause. The professional plumber should know how to use all those tools in a proper manner and then only should come to the conclusion. Repairing Skills: The third type of skills that should be there in any professional plumber is the repairing skills. Even if you have detected the major cause behind the plumbing problem but until you don’t know how can repair the same is of no use. A professional plumber will know all the possible solutions to resolve the issue in best possible manner and at a lower cost. The are various types of tools that can be used by a professional to repair the faulty water and sewer pipes at your office and home in no time. Precautionary Skills: The fourth and the last type of skills that should be the part of a professional plumber is the precautionary skills. Once they have solved the problem which was being faced by you in your office and home, they will tell you about some precautionary actions that will help you in avoiding similar plumbing problems in future. Therefore it is always beneficial to hire a professional plumber and save your time as money. 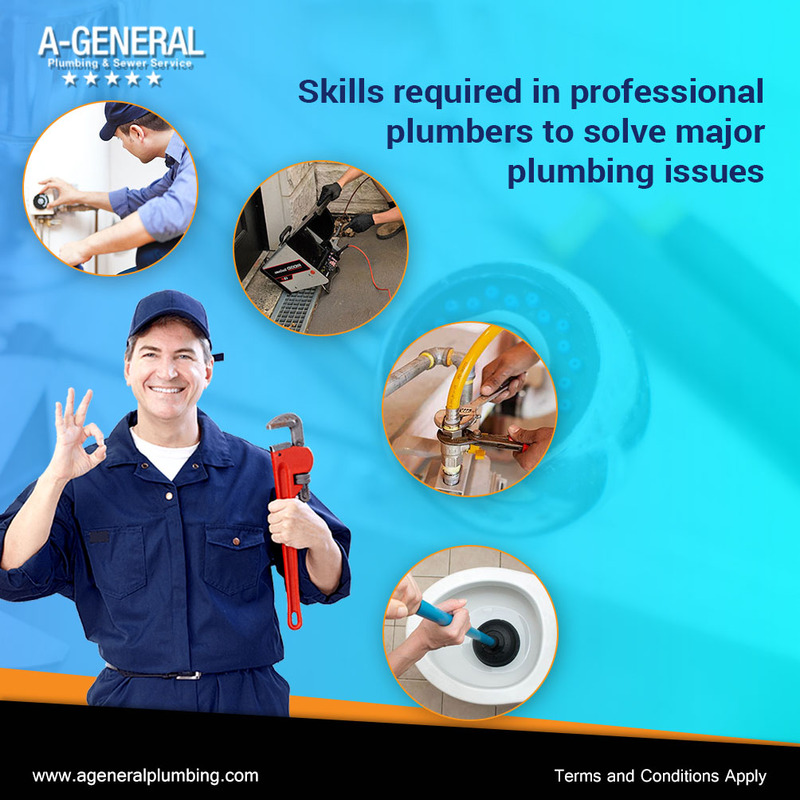 The next time you plan to hire any professional plumber, do check for the above- mentioned skills and receive the best services.